Angkor Wat is an ancient city in Cambodia that was the center of the Khmer empire that once ruled most of Southeast Asia. 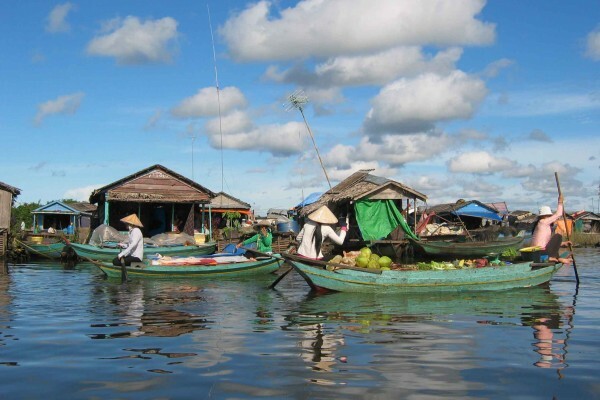 Tonle Sap Lake is the largest fresh water in South East Asia. Bayon Temple was built by King Jayavarman VII in the late 12th century and was believed to be his state-temple and a centerpiece for Buddhist Worship. Banteay Kdei Temples is located south of Ta Prohm. Angkor Thom is magnificent inner royal city built by the end of the 12th century by king Jayavarman VII. Khmer Apsara Dance Show , this ancient art form and beautiful dances have played a major part in Khmer. Silk Farm at Puok also features a large showroom where you can buy high-quality silk products that were made in the workshops you just visited. 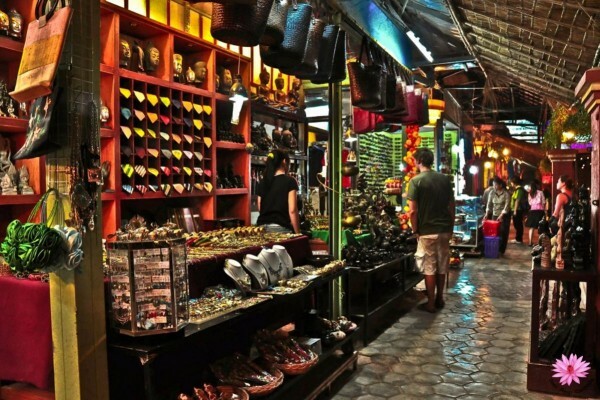 Siem Reap is an excellent place to buy Cambodian souvenirs, handicrafts, textiles and art. Pub Street in the Old Market area in Siem Reap. Ta Prohm Temple is the modern name of the temple at Angkor, Siem Reap Province, Cambodia. Phimeanakas Temple was the focal point of Suryavarman I's capital. Prasat Kravan Temple is a small 10th-century temple consisting of five reddish brick towers on a common terrace, located at Angkor, Cambodia south of the artificial lake or baray called Srah Srang. Royal Enclosure Temple situated within the city of Angkor Thom is of an earlier date and belonged to kings of the tenth and first half of the tenth and first half of the eleventh centuries. Srah Srang Temple is a baray or reservoir at Angkor, Cambodia, located south of the East Baray and east of Banteay Kdei. Ta Keo Temple is a temple-mountain, in Angkor (Cambodia), possibly the first to be built entirely of sandstone by Khmers. Siem Reap is the main tourist city and located in the northern Cambodia. Arrival to this town, beside exploring the mighty and famous architectures of Angkor Temples which is considered as the one of the cultural heritage in the world by UNESCO, you are tried and enjoyed the local food as well as are contemplated the most famous Apsara dance of Khmer people at here, it is very special and this dance will be one of your unforgettable experience at here. The local people in Siem Reap are very friendly and kind, they are always willing to help any tourist who need their help once travel in this city. You also should not miss to try the local food in the food street at here, it is very delicious and special dishes which is not similar with any other place in the world, these dishes are not expensive for you to try, but these special food is often sold more in the evening. Although it is rich in the Siem Reap city center, but in the suburbs of Siem Reap are still very poor so that this may be also a chance for you to do some charity on your trip at here. There are some places which must included in your trip in Siem Reap such as Angkor Temple Complex with Angkor Wat, Angkor Thom, Tonle Sap Lake, Ta Phorn, Bayon Temple…All these sights are the main tourist sights of Siem Reap.